The world’s smallest surviving baby boy ever born in Japan has been allowed home after a lengthy hospital stay. 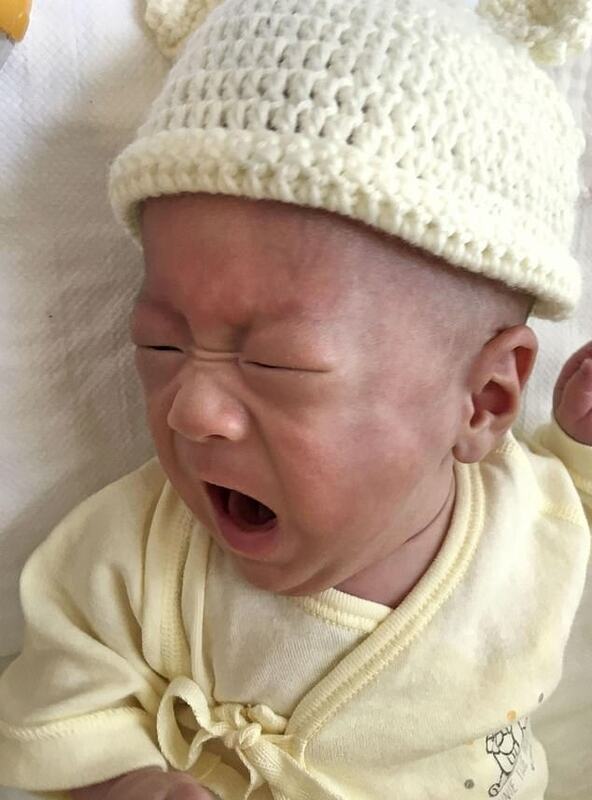 The newborn – who has not been named – arrived last August weighing just 0.59lbs (268g). He was born via emergency C-section at Keio University Hospital in Tokyo after doctors noticed he was not growing during a 24 week scan and worried his life may be in danger. The baby, who could fit into his doctors’ hands, was treated at a neonatal intensive care unit, which helped get his weight up to 7.14lbs (3.2kg). He left hospital last Wednesday – two months after his due date. The boy was kept in hospital while doctors managed his breathing and weight gain, with him eventually being able to breastfeed, Kyodo News reported. The paediatricians who treated the newborn hope his success story will give hope to families whose children are born too small or too soon. ‘I want people to know that babies can return home vigorous even if they are born small,’ Dr Takeshi Arimitsu said. The past record holder for smallest surviving baby boy went to a newborn in Germany, who arrived at 24 weeks in 2009 weighing 0.6lbs (274g), according to the University of Iowa’s Tiniest Babies register. 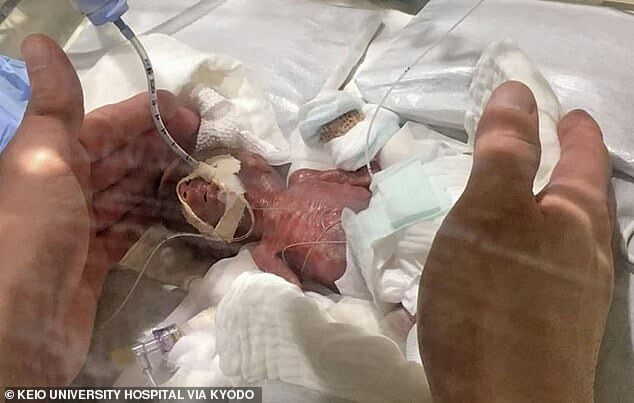 The smallest girl – also from Germany – was born at 25 weeks in 2015 weighing 0.56lbs (252g). According to the register, only 23 babies have been born prematurely weighing less than 0.66lbs (300g) and survived, of which just four were boys. The register collects information from medical journals, media reports and cases that have been self-reported by a family member alongside verification from a healthcare professional. Around 90 per cent of babies born in Japan that weigh less than 2.2lbs (1,000g) survive, however, very few under 0.66lbs make it.